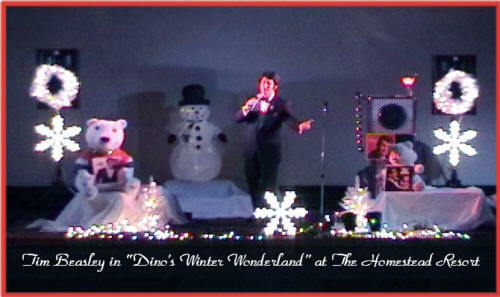 This song is mostly recognized world-wide as a "Dino" signature classic! ( "We danced that night, to candle light, the world was white with snow... the way we felt, we never felt, the snow could melt and go." 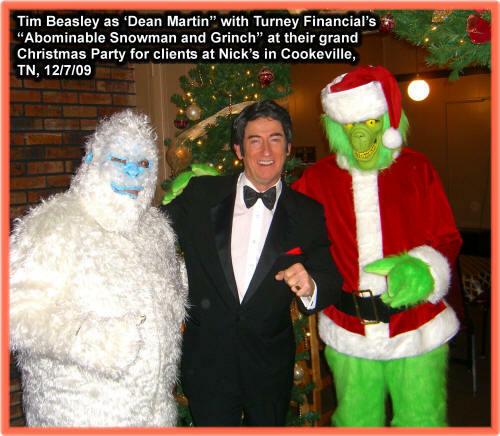 A great song that was also the title track of Dean Martins first "season" themed album, "A Winter Romance" for Capital Records...It's perfect for ski resorts, hotels and country club special "Winter Romance" marketed events!. Although heard during holidays, all of these songs are winter season songs that don't even mention holidays in the lyrics! 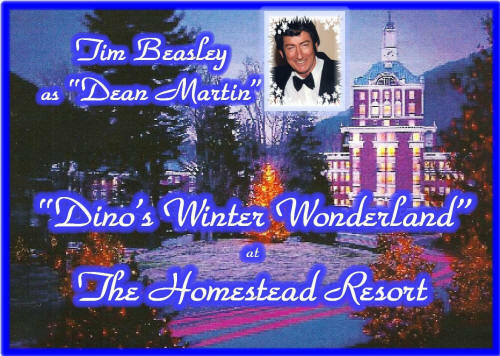 ( I really can't stay -but baby, it's cold outside- got to go away-but baby, it's cold outside"...) A really fun song when "Dino" has a lady guest join him in duet, with lyrics provided of course! 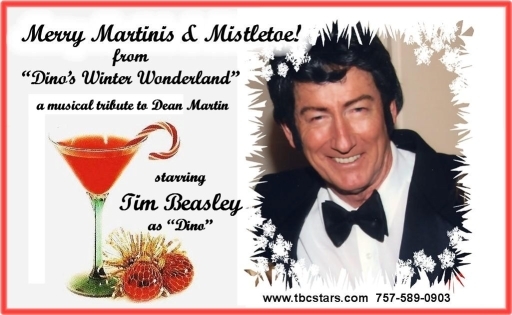 As a great show perfect for entertaining special events coast to coast, from Thanksgiving through late February, during the time between Thanksgiving and New Years Eve the show also includes these beloved Christmas classics. "It's Beginning To Look A Lot Like Christmas,"
"I'll Be Home For Christmas,"
"Rudolph The Red Nosed Reindeer" and "Jingle Bells." "Everybody Loves Somebody," "That's Amore' " "Memories Are Made Of This," "In The Misty Moonlight," "Sway," "Little Ole Wine Drinker Me," "Houston," "Sway," "I Will," "Mambo Italiano," "In The Chapel In The Moonlight," "Just In Time" and more with those classics and you'll have everyone dancing, laughing, singing along and applauding with great cheer! 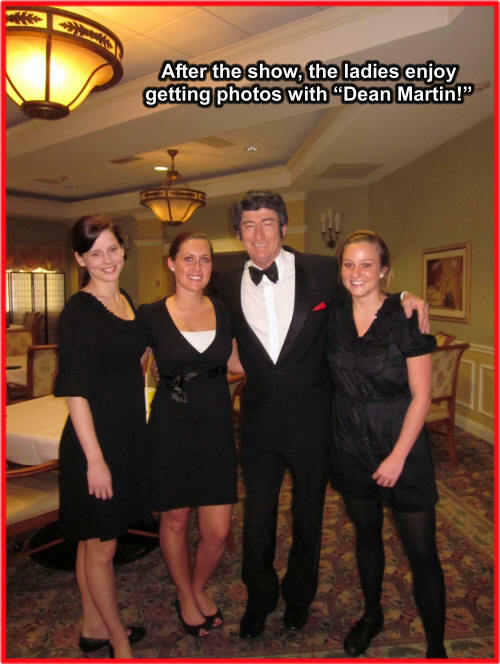 Also contact us HERE for many more photos, details, rates, etc!